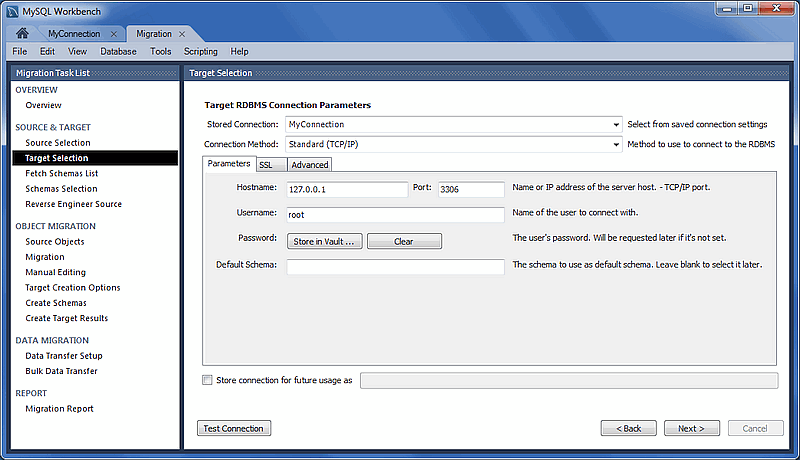 A connection is made to the source and target database servers. Select the source RDBMS that is migrating to MySQL. 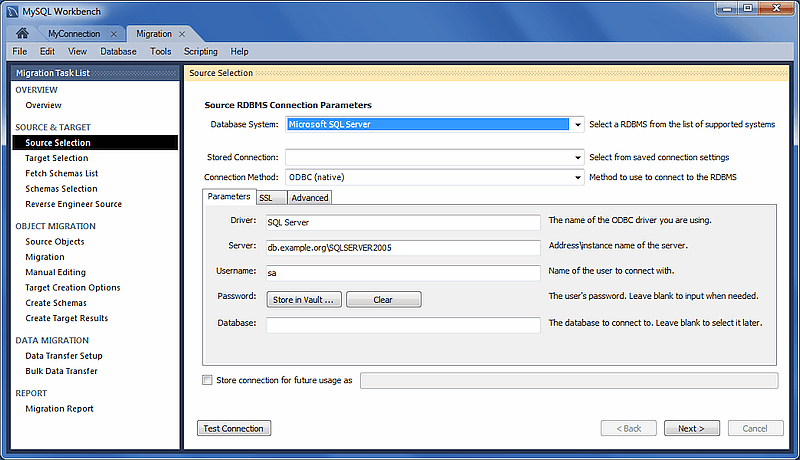 Choose the Database System that is being migrated and the other connection parameters will change accordingly (see the figure that follows). This connection definition may be saved using the Store connection for future use as option, and there is also the Test Connection option. The target is the MySQL database that will contain the migrated data. Choose an existing MySQL Workbench connection or select Manage Stored Connections from drop-down list to create a new MySQL connection. An example stored connection appears in the following figure.